Comfortable and lightweight safety goggle. Ideal for all warehouse enviroments. Made from a clear polycarbonate lens with PVC frame. 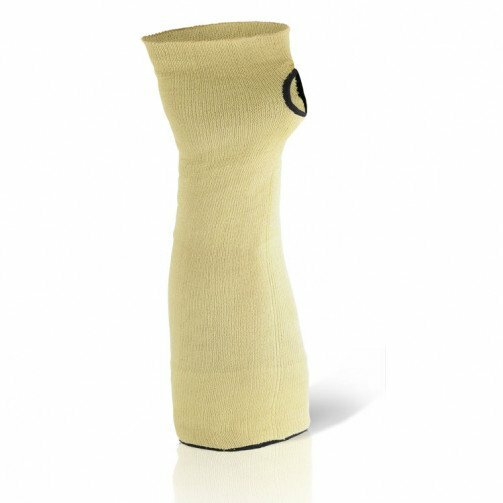 This 18' kevlar sleeve is carefully designed to provide excellent cut resistance for the wearer whilst remaining soft and comfortable against the arm during use. The extremely lightweight elasticated style of the design means that the sleeve stays firmly in place even during use in the most rigorous of tasks. The thumb slot is added to further ensure that the product remains comfortably in place whatever the situation. Despite the comfortable design, the sleeve gives provides the wearer with excellent cut resistance in industries where laceration risks to the arms present a particular hazard.